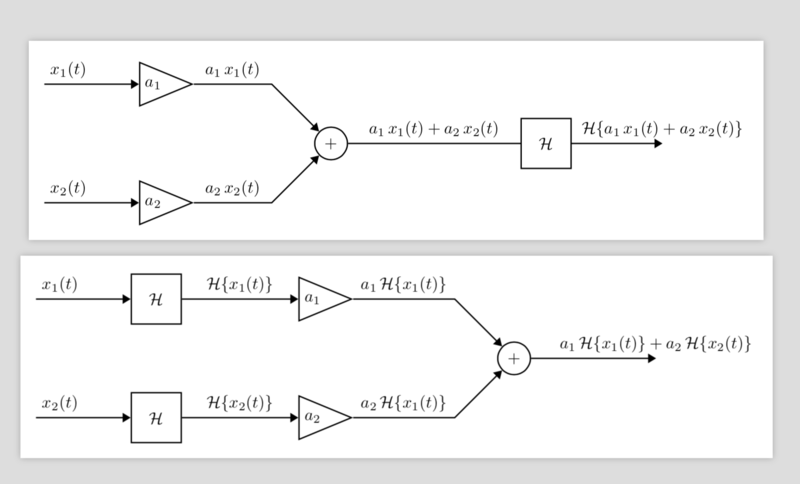 Hello Tex friends I am trying to draw the linear scheme for the signal processing tool. I am testing the Signal processing library. However, I can not get the figure like that. Starting from the example in the link it is not too difficult to draw these things. Believe me, it is much more fun to try out yourself. Not the answer you're looking for? Browse other questions tagged draw tikz-graphdrawing or ask your own question. How can I add “dots” between the nodes of my neural network diagram? How can I draw a square wave function on the screen of this tikz-generated oscilloscope?